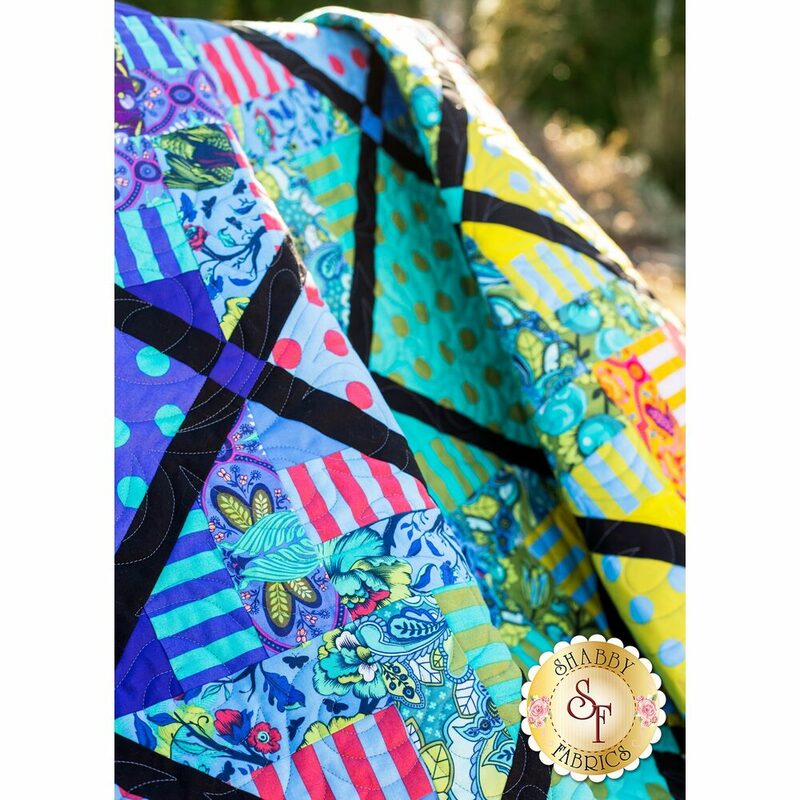 This exciting quilt is a modern masterpiece featuring unique animal prints, vibrant colors, and a stunning overall gradient! 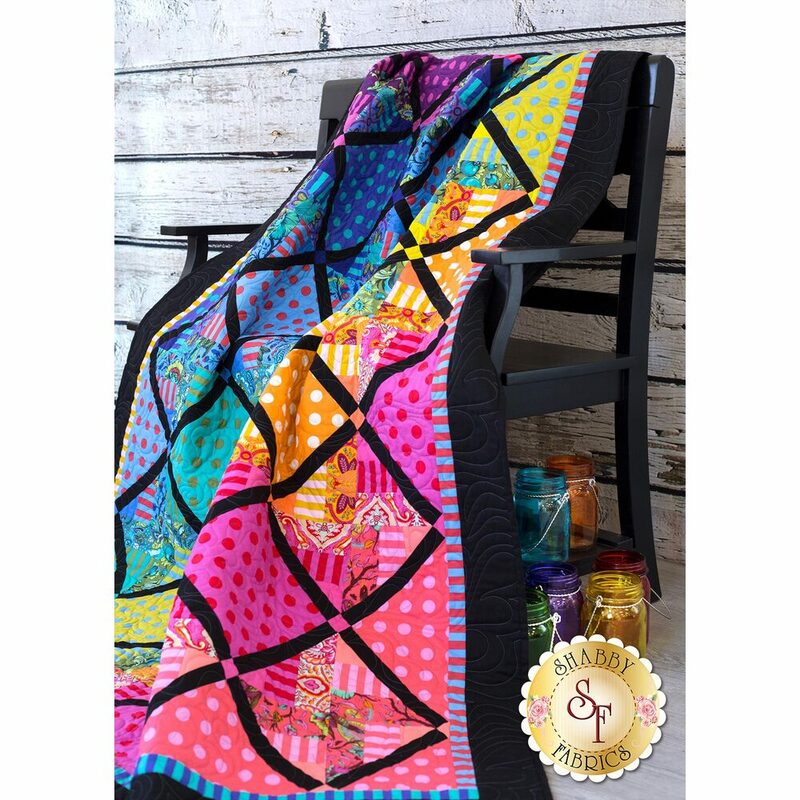 Created with the Tula Pink All Stars collection, this bright quilt is made using spinning rail fence blocks with deep black accents that make the colors really come to life! 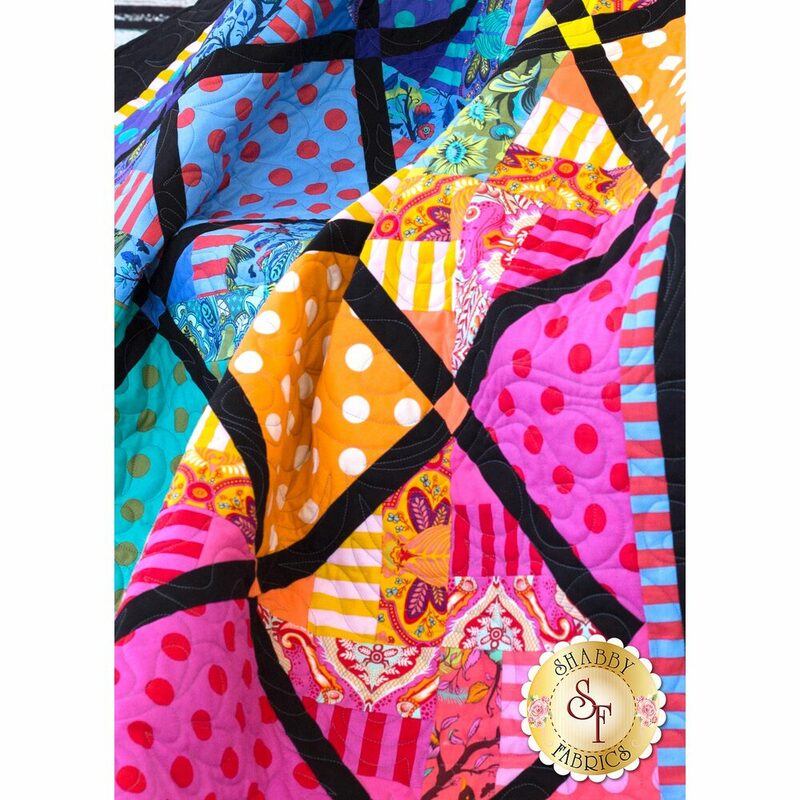 This quilt measures aproximately 64" x 77½". 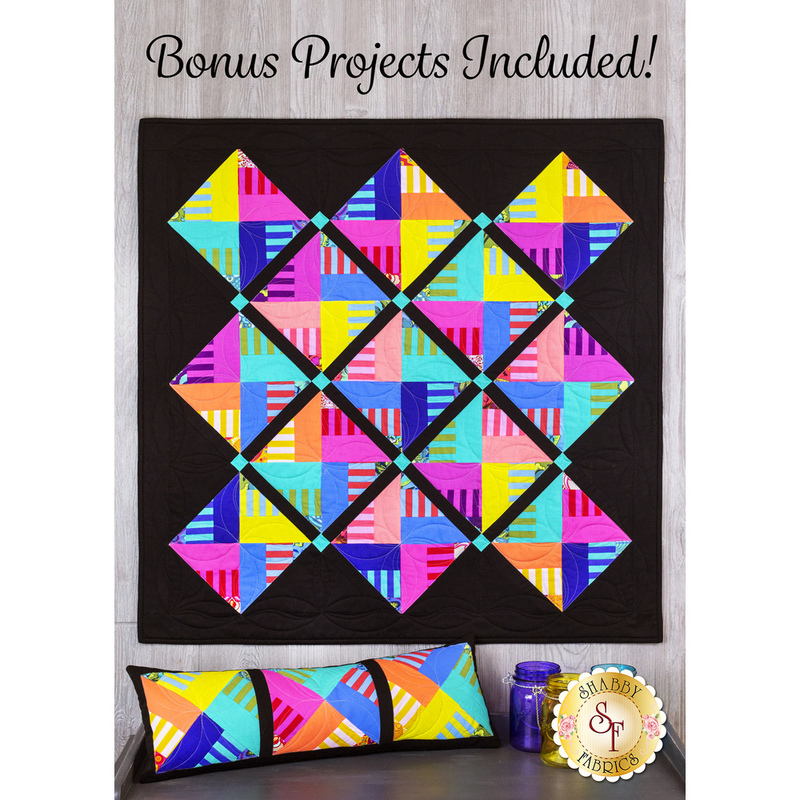 BONUS Quilt + Pillow! 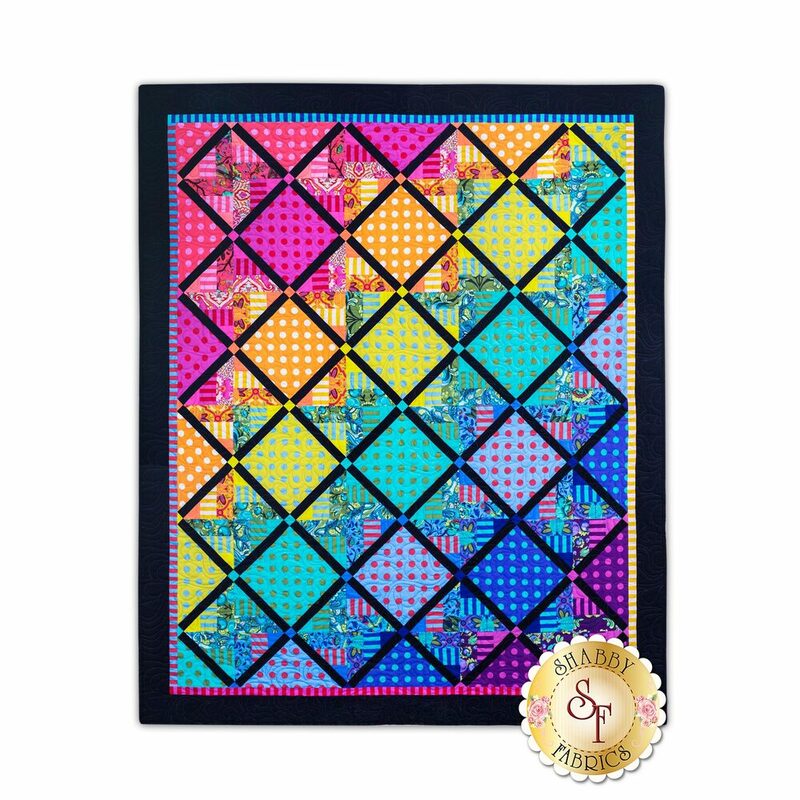 After successfully completing the Tula Pink Spinning Rail Fence Quilt you will have enough left over material to create the bonus quilt and coordinating pillow! 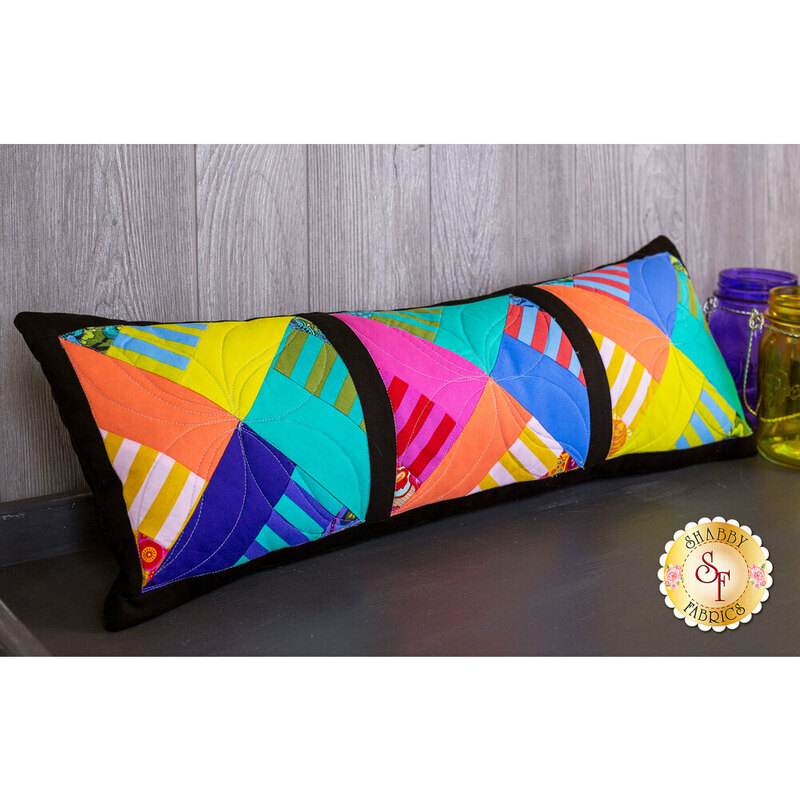 This colorful quilt measures approximately 39" x 39" and the pillow measures approximately 9½" x 26½". This quilt requires 4 7/8 yards for backing. We recommend selecting your coordinating backing from the Tula Pink All Stars collection!